The 903 is a high-performance integrated personal amplifier for unbalanced stereo audio signals. It allows selection between four inputs and delivers a speaker output of 10 watts RMS power per channel into a 4Ω load. S/N Ratio - 77dB (unweighted). High Efficiency - Class D operation. Control - Volume, bass, mid, treble, balance, and loudness. Compact MegaTOOLS - 2 units can be rack mounted side-by-side in a 1U rack space with the optional RK-T2B rack adapter. 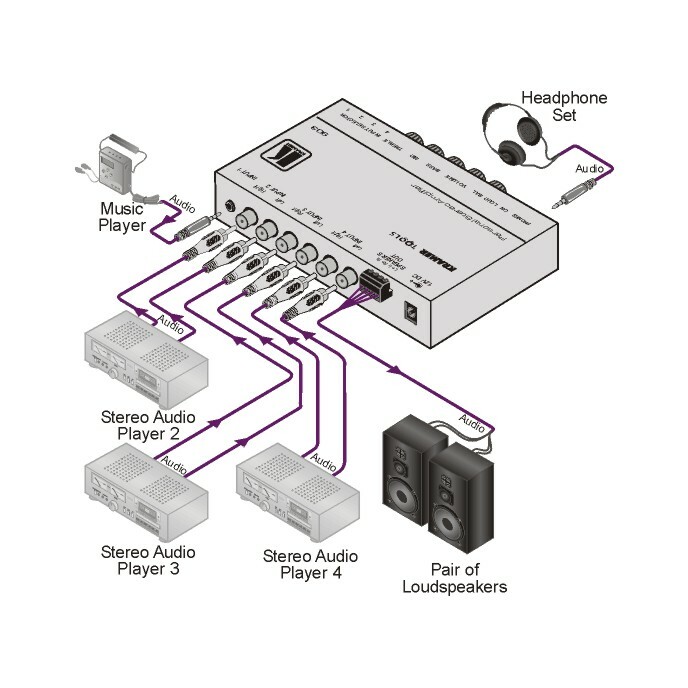 Output Stereo headphone on a 6.5mm connector; Loudspeakers on a terminal block connector; Automatic switching when headphones are plugged in.